Hoodies are one of the most versatile and multi-purpose pieces of sports clothing available. Is it any wonder so many people love them? Whether keeping one warm and dry during outdoor practice, or acting as sweatgear during intensive activities, or just showing one's team spirit in day-to- day life, a good hoodie is an amazing article of clothing. And the Under Armour Team Rival Hoodies are an amazing option in hoodies. We had a chance recently to try out both the mens' and womens' models of UA Team Rival Hoodies, and we couldn't be more pleased to add them to the SquadLocker lineup. With plenty of size, color, and logo-placement options, this is a piece of gear any athlete of any size or age would love to have. All one has to do is look at the Team Rival Hoodies to see the difference in quality Under Armour provides. The exterior is made from soft performance cotton that feels as nice as it looks. However, the real bonus is the interior. Team Rival Hoodies feature a separate interior lining of brushed cotton for extra comfort while wearing. The brushed cotton helps trap heat inside, keeping the wearer cozy even in extremely cold weather. The hood itself gets special attention as well, with a breathable liner which is designed to keep the head warm, but not stifling. Since the head can produce plenty of sweat, the Team Rival Hoodie was designed to keep as much of it away from the face as possible, and without becoming “swampy” inside. Even with the drawstrings firmly pulled, and a long hard run, these hoodies were nearly as effective as sweatbands or similar articles. Wearers also get a front kangaroo pouch style pocket, perfect for keeping their hands warm or storing items during practice such as small water bottles or music players. The fit itself is deliberately loose for extra comfort and ease of movement on both the men's and women's variations. If you happen to prefer a more snug, form-fitting style of sweatshirt or hoodie, we recommend ordering one size down from normal. Also, they are pre-shrunk, so they should not lose much or any shape after initial washing. All color choices include a gray inside lining for the hood. As always, with SquadLocker, you have plenty of options in customization! Your team logo can be placed in multiple areas on each hoodie, and with high-detail printing that make the logo stand out. A full team outfitted in custom-branded UA Team Rival Hoodies will look sharp on or off the field, showing real team unity and an attention to detail. 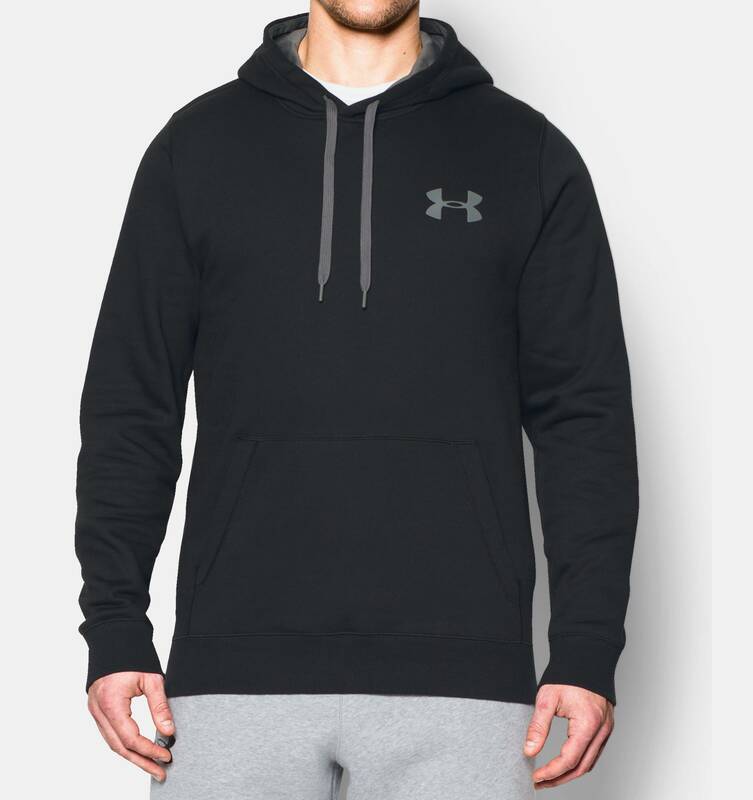 All in all, the Under Armour Team Rival Hoodies are a superior product in nearly all respects. The superior build quality Under Armour is known for and super-comfortable design mean these should be a big hit with players, fans, and support crew alike. Their multi-functionality means that you could be seeing your team colors showing up almost anywhere, when you're selling custom-branded Team Rival Hoodies. If you haven't made your own SquadLocker shop to simplify branded team merchandise, we invite you to take a tour today! It's fast, it's simple, and it's free to sign up.